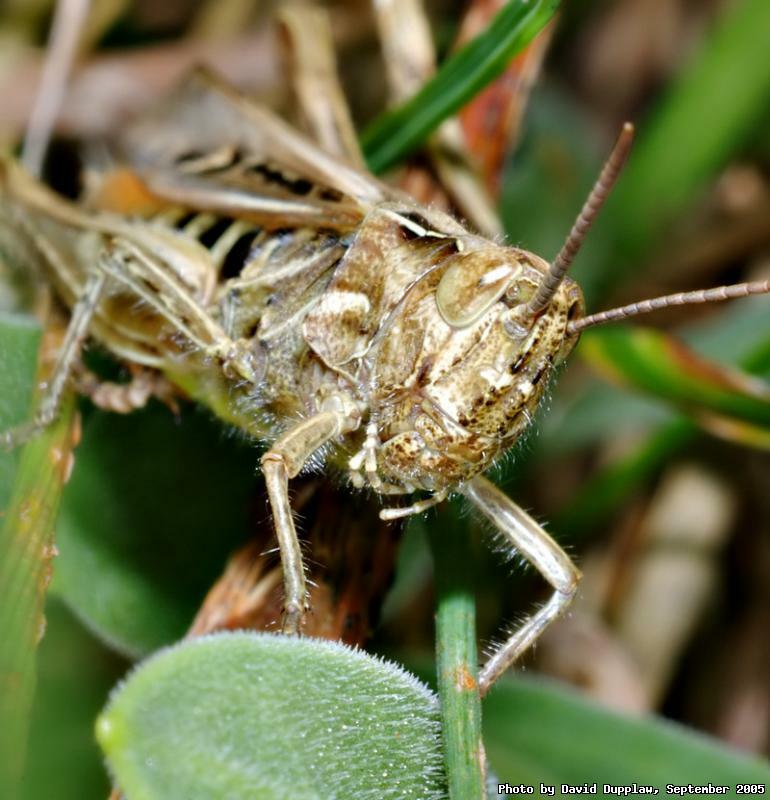 This is another shot of the Common Field Grasshopper I spent about an hour quietly stalking in our garden. I find the best way to creep up on jumpy insects is to sit a while with them (5 minutes or so, and as long as you are sure they are not going to disappear straight away), and lull them into a false sense of security. Then ever so slowly move up towards them with camera afixed to face, to avoid any sideways movements from the point of view of the bug. It is sometimes hard to see whether they have jumped off when you are looking into a blurry viewfinder, but I try to use my other eye for this. Eventually they come into focus and as fast as possible, I take the photo and hope they stay put for some more photos!